If you have been longing for a gorgeous tan, you might need a little help from Piz Buin 1 Day Long Lotion. Piz Buin has a line of sun and after sun care products that is going to give the right amount of protection to your skin while enjoying the glorious sunshine. Piz Buin is specialist in sun care with over 65 years of experience in the business of producing sun care solutions. It is one of the first brands to promote the use of the Sun Protection Factor (SPF) in the 60’s. Founders, Franz Geiter a chemistry student and his wife, Marga, a qualified beautician developed the Piz Buin ‘Gletscher Crème’ (Glacier Cream) in 1946. Since then, the brand (named after the Eastern Alps mountains) has gained an excellent reputation worldwide for producing luxurious sun and after sun care products. In 1974, Piz Buin was also one of the first brands to introduce water-resistant sun care products. One of the most popular products from Swiss-based Piz Buin is Piz Buin 1 Day Long Lotion. We review the attributes of this sun care product. It provides long lasting protection (roughly 6 hours) and is available in 15 or 30 SPF. The sun care lotion is in a plastic squeeze tube which is easy to carry around whether you’re on travel or tanning yourself in your garden. It is available in 100 and 200 ml containers practical for short or longer travels. The lotion is easy to apply as it is in a cream form. It is not greasy and is absorbed quickly by the skin so you can go under the sun immediately without feeling sticky all over. Directions state that you must use at least 3 tablespoons for a full body application for best results. Piz Buin 1 Day Long is scented which gives it a nice smell. Some users complain of the strong scent of the lotion. There were also users of the sun cream product who reported they had experienced rashes and other minor skin irritations by using the product. To this, the company responded their products are manufactured according to the highest standards and in conformity with existing regulations. Also, complaints of this sort represent only 0.01% of sales which means that most buyers are happy with their purchases. All in all, Piz Buin 1 Day Long Lotion does what it is supposed to do. It offers adequate protection for the skin while getting that fabulous tan. 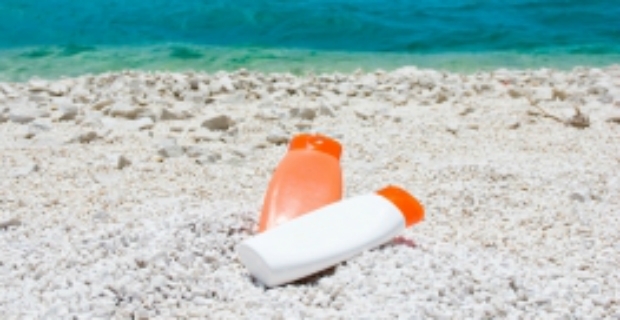 The sun cream lotion is easy to use and lasts for at least 6 hours. It is packaged in a convenient plastic tube for easy transport. Moreover, it is reasonably priced and sells for less than £10 on Amazon. Although it is not going to suit everyone, it is fair to say that Piz Buin 1 Long Lotion is a great option for those who need sun protection at a reasonable price.